Alta’s had quite a display of flowers the past few weeks and if you have not had a chance to check them out, you’re in for a treat. 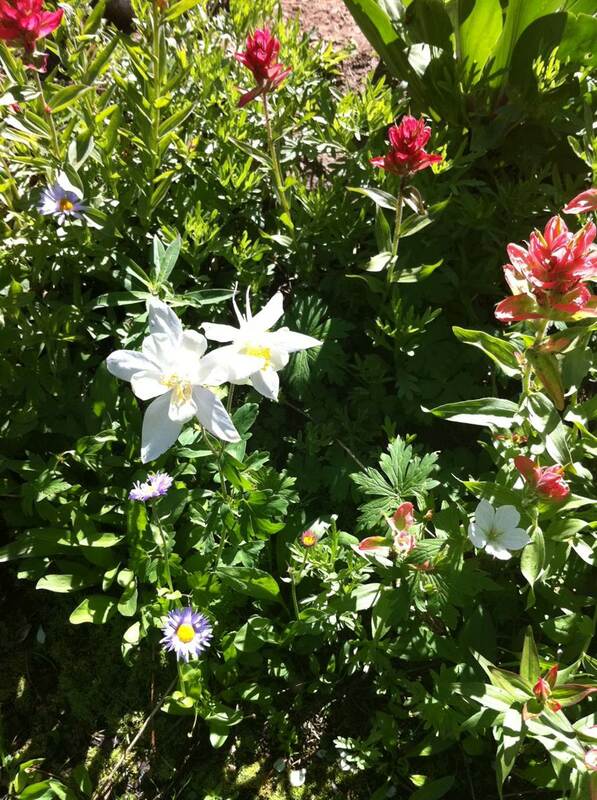 The best area for a wide variety of flowers is in Albion Basin. It is also the most popular location so going early in the morning is important if you want to avoid the crowds. The best thing to do is drive to the Albion Basin Day Lodge and take the free shuttle. By doing this you skip driving on a dusty dirt road and looking for limited parking spaces. The shuttle stops at the trail head for a hike to Catherine’s Pass, which is a three-mile round trip hike. The hike offers great views in both directions. Another hike is the Cecret Lake trail, an easy 1.8 miles round trip to an alpine lake in Devil’s Castle. Numerous other trails dot the area and descriptions and details can be found on the Wasatch Hiker web site.